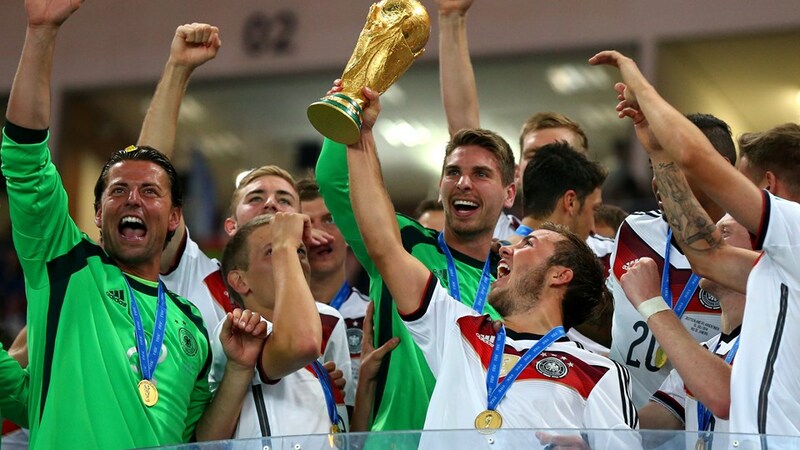 The 2014 FIFA World Cup was an incredible month and has been unanimously hailed as the greatest modern World Cup. Now that the dust has settled, it’s time to look back and review on all of the incredible action. From the opening match down to Germany’s late winner, this World Cup never failed to amaze, shock, and most importantly, entertain. The opening match was one amazing way to kick off the World Cup. Marcello scored the opening goal of the tournament with an own goal that shockingly put Croatia ahead 1-0. Brazil’s poster boy Neymar equalized before halftime. In the second half, Fred went down extremely easily in the penalty box, and Japanese referee Yuichi Nishimura somehow awarded a penalty, which Neymar easily scored. To make matters worse, Croatia equalized minutes later, only to have the goal disallowed for a supposed “foul” on goalkeeper Julio Cesar. Oscar would seal the win for the hosts with a stunning late goal, but FIFA came under heavy criticism for seemingly favoring Brazil. Former champions Italy and England were also eliminated in the group stages, but it was defending champions Spain’s miserable performance that was the most shocking. 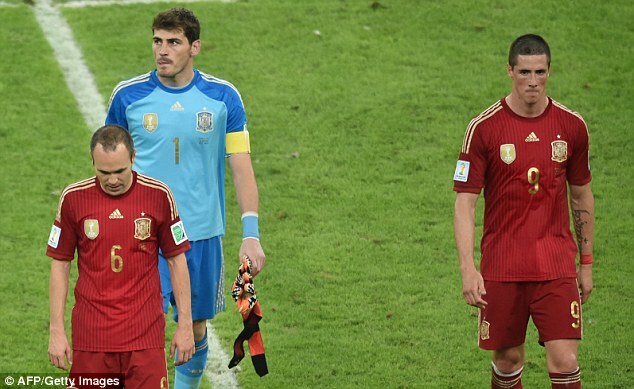 After a decent first half in their 2010 final rematch with the Netherlands, Spain came unglued, losing 5-1 with their defense in shambles as Arjen Robben and Robin van Persie tore them to pieces and Iker Casillas, thought of as one of the greatest goalies ever, making horrendous mistakes. They were expected to bounce back against Chile but put in a sluggish, useless performance as they lost 2-0 and were eliminated after two matches. They crushed minnows Australia 3-0 in the final match, but the win was meaningless and Spain’s defense was over shockingly early. Uruguay beat Italy 1-0 in a must-win game thanks to a Diego Godin goal to eliminate the 2006 champions and advance to the Round of 16. But their win was overshadowed by Luis Suarez’s insanity. 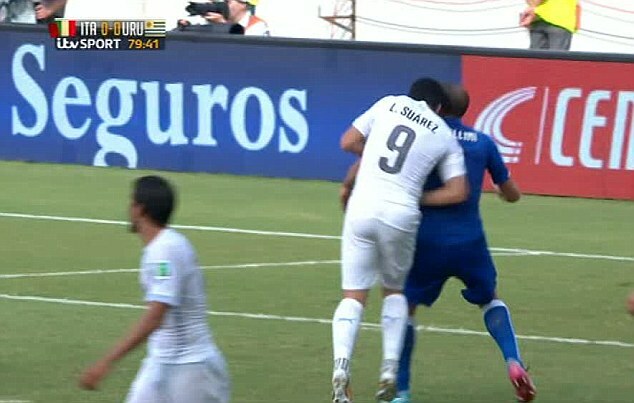 With only 10 minutes remaining and the match still deadlocked, Suarez bit Cheillini on the shoulder as a Uruguayan corner was sent into the box. While Uruguay would go on to win the match, and the referee missed the bite, Suarez was handed a 9-match ban in international matches, the longest in history. He was also banned form all soccer-related activities for four months, including even walking into a stadium. Without him, Uruguay limply fell to the brilliant Colombians 2-0 in the next round. While all 8 group winners won their Round of 16 matches, the favorites were given extreme tests by the underdogs. Hosts Brazil came within millimeters of being eliminated by Chile as Mauricio Pinilla hit the crossbar in the final minute. They saw off the Chileans on penalties, but fortunate to survive. The Netherlands needed a stunning rally in the final six minutes to come from behind to eliminate Mexico 2-1. Algeria were perhaps the most impressive as they stunningly held Germany scoreless in regular time. If it hadn’t been for German goalie Manuel Neuer, Algeria likely would’ve pulled off the upset. After falling behind 2-0 in extra time, they still had the heart to score the latest goal in World Cup history. Switzerland’s outstanding defense held Argentina scoreless until two minutes before penalties when Lionel Messi set up Angel Di Maria to break Swiss hearts. The US thrilled American fans by advancing from the Group of Death in a massively impressive World Cup campaign that ended with a heart-pounding 2-1 extra time loss to Belgium in the Round of 16. In that match, Tim Howard set the record for the most saves by a goalie in any match in World Cup history with 16. He single-handedly kept the Americans in the match as Belgium relentlessly attacked. Overnight Howard became a hero in the US, with petitions for him to run for President and for airports to be named after him quickly created. Neuer might’ve won the Golden Glove award for the best goalie, but Howard put in the best performance, no doubt. Colombia came into the World Cup without their star striker Falcao, who was out with injury. That turned out to be no problem as the Colombians became the darlings of the World Cup with their electrifying attacking performances. The man at the center of that was Monaco’s James Rodriguez, who came into the World Cup as a promising young player and left a global superstar. He scored 6 goals in 5 matches and won the Golden Boot award for the most goals. His goal against Uruguay in the Round of 16 was the finest of all 171 scored in Brazil and marked the moment he announced himself on the biggest stage of all. Group D was one of the most talked about coming into the World Cup. The universal consensus was that tiny Costa Rica would lose their three matches and former champions Italy, England, and Uruguay would battle for two spots in the knockout stages. Instead, “Los Ticos” won the group and stunned the world. It began with a comeback 3-1 win against Uruguay and included a 1-0 win over Italy that was one of the greatest shocks in World Cup history. A goalless draw against England confirmed top place in their group. Despite being a man down and conceding a very late equalizer against Greece in the Round of 16, Costa Rica held on to win on penalties. In their first ever quarterfinal, they came within penalty kicks of stunning the Netherlands before their run finally ended. Conceding only 2 goals, Costa Rica had the most impressive defense of all 32 teams and their offside trap was absolutely perfect. Brazil needed referee help to beat Croatia and were held to a goalless draw by Mexico before easily beating Cameroon to advance from their group. 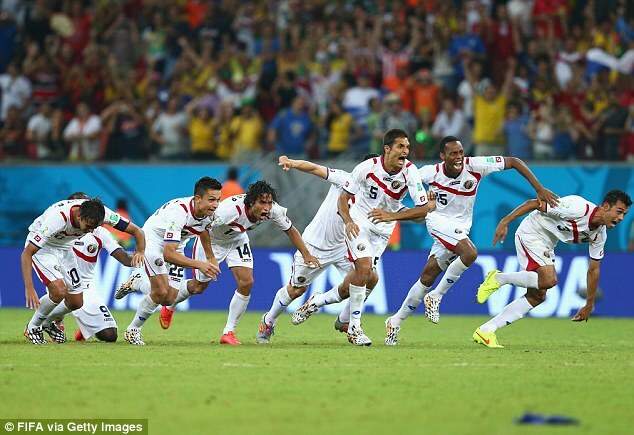 They survived that Chilean scare and beat Colombia in a physical quarterfinal match. 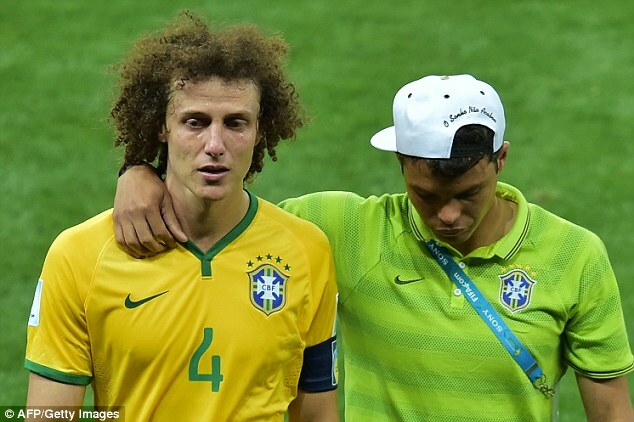 In that match, captain and key defender Thiago Silva earned his second yellow card of the tournament and became suspended for their semifinal, while star man Neymar was hit in the back with a shocking challenge from Juan Camilo Zuniga and his tournament was ended early. Without Silva and Neymar, Brazil went in as underdogs to their semifinal against Germany, but still had hope thanks to their massive support. Instead, they seemingly forgot how to play as Germany absolutely tore them to shreds in a 7-1 obliteration. The hosts tried to pick themselves back up in the third place play-off but were hammered 3-0 by the impressive Dutch. Their World Cup dream at home turned into an absolute nightmare as they shockingly collapsed in their last two matches. 36 year-old Miroslav Klose came into his fourth World Cup knowing he only needed two goals to break Brazilian legend Ronaldo’s record for the most goals in World Cup history. He got the first goal only two minutes after coming on as a substitute in Germany’s 2-2 group stage draw with Ghana. His 16th World Cup goal and record clincher came in the 7-1 win over Brazil. The quiet, humble German became the greatest striker in World Cup history as he defied his age to find the goals to pass Ronaldo. 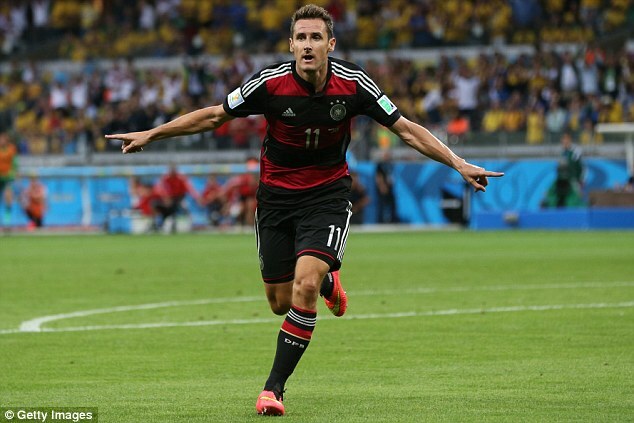 Things got even better for Klose as he finally won the World Cup after finishing as a runner-up in 2002 and in third place in 2006 and 2010. Germany and Argentina battled through a hard fought classic final as both sides missed chances to win in regular time. As the match headed towards penalties, Andre Schurrle sent a cross into the box in the 113th minute. Mario Gotze found the cross, controlled it off his chest, and then lashed his shot past Serio Romero. The substitute, who lost his starting place early in the tournament, etched his name into World Cup history as he won Germany their fourth World Cup. Fittingly, Germany’s first World Cup title as a reunified nation came from the first two players born in reunified Germany (Schurrle and Gotze) to play in the team. It was a stunning goal, one fitting of winning the biggest tournament in the world.